If you're among the many people who find themselves enchanted and entranced by dolphins, you'll be glad to know that these playful marine mammals can be found across the globe in both tropical and temperate waters. The only places you're unlikely to find dolphin habitats are in the oceans around the Arctic and Antarctic -- unlike whales, dolphins like it warmer. One of the most widely known species is the bottlenose dolphin, which thrives when water temperatures are between 50 and 90 degrees Fahrenheit. However, there are dozens of species of dolphins on the planet, and each one has its own individual needs and preferences as far as habitat goes. Dolphins live in open oceans, coastal waters that include bays and inlets, river basins, certain inland seas, gulfs, and in channels. As mammals, dolphins breathe through a nostril situated on the top of their heads that's more commonly known as a blowhole, thus they need to surface regularly to replenish their air supply. However, dolphins eat a lot, so they tend to spend the majority of their time in areas where they have access to an abundant food supply which can include extended depths. Many species are migratory as well, spending their summers in one spot and then hitting the road for warmer climates when summer comes to a close and waters begin to cool down. The migratory patterns of their primary food supply also plays a role in where dolphins spend their time. Dolphins are also capable of flexibility in their migration to accommodate changes in the patterns and availability of their prey. Marine mammals that share habitat with dolphins vary according to specific climates and ocean conditions. For instance, Pacific dolphins living in coastal habitats share their home with seals, sea lions, sea turtles, and playful sea otters. Those living in the open ocean are more likely to encounter several species of whales, including orcas, sperm whales, blue whales, and gray whales. 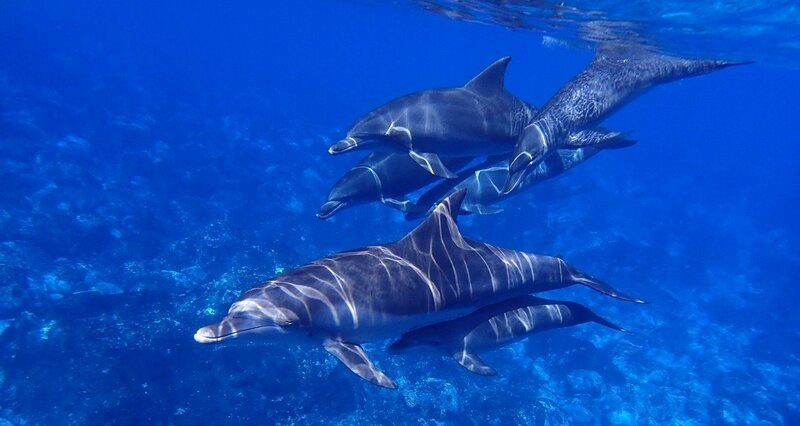 Several species of dolphin make their home in the Pacific Ocean. The iconic bottlenose dolphin ranges from Australia to Japan as well as in the triangle produced by the Hawaiian Islands, the coast of Chile, and the southern portion of the United States. Some populations live in the open ocean and have developed a greater tolerance for cold water as a result, while others prefer to stick closer to shore and don't have the same tolerance for cold water as their open ocean counterparts. 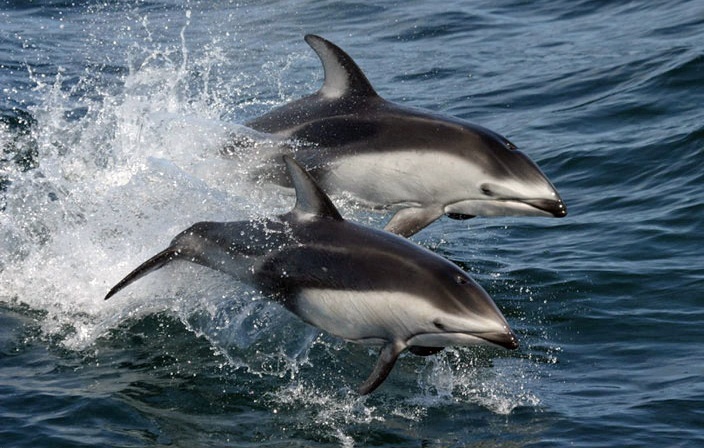 Other dolphin species living in the Pacific Ocean include spinner dolphins of the South Pacific, Chilean dolphins, and Pacific white-sided dolphins, which tend to live in the waters of the North Pacific Ocean. Bottlenose dolphins are found in most oceans around the world, but their numbers are most abundant in the Atlantic Ocean. However, you'll also find the Atlantic white-sided dolphin, the humpback dolphin, and the spotted dolphin swimming in these waters. Dolphins making the Atlantic Ocean their home range from coastal Nova Scotia all the way down to Patogonia as well as from Norway to the southern tip of the African continent. The Indian Ocean is home to another species of the bottlenose dolphin that has evolved to adapt to the specific conditions of this region. It's called the Indo-Pacific bottlenose dolphin and its habitat includes the waters surrounding India, the coast of East Africa, and the waters north of Australia and south of China. 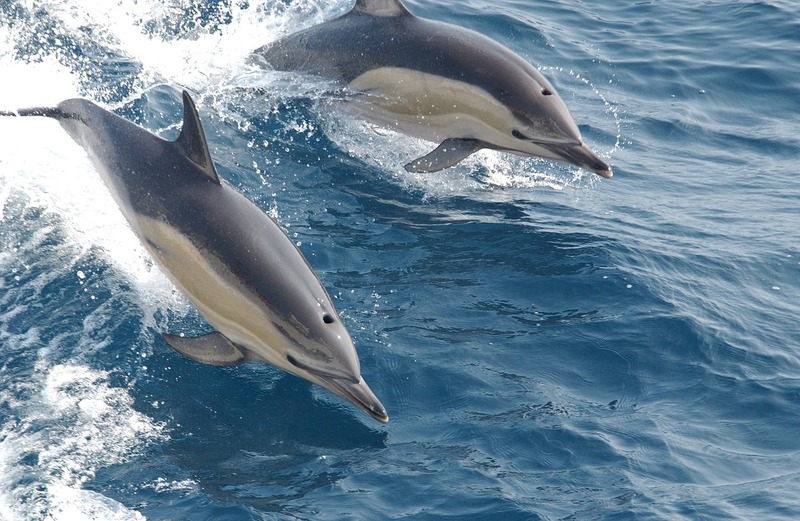 Other dolphin species found in this region are the spinner dolphin, the common dolphin, and the humpback dolphin. The humpback dolphin lives near the shores of East Africa and is considered one of the region's most endangered marine mammals. A handful of dolphin species can only survive in fresh water environments. Less well-known than their oceangoing counterparts, these species include the Amazon river dolphin, the Yangtze river dolphin, the Indus river dolphin, and the Ganges river dolphin. Unfortunately, both the Indus and Ganges river dolphins are both currently on the endangered species list. Bottlenose dolphins are also found in the Mediterranean Sea along with Risso's dolphins, the short-beaked common dolphin, and the striped dolphin. However, dolphin populations in the Mediterranean Sea are rapidly diminishing, with some scientists believing that they will continue to become increasingly rare in this region. No matter where dolphins live, chances are their habitat is threatened by a variety of dangers. Climate change, commercial whaling and fishing operations that result in dolphin by-catch, and the increasing number of toxic contaminants all contribute to habitat degradation. Marine mammal facilities have become critical to fostering awareness and environmental stewardship, as well as contributing to global conservation efforts. It is essential that we step up to the plate and advocate for these charming sea creatures before it's too late.